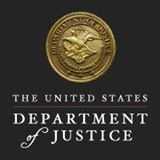 Washington, DC, January 19, 2017 – (RealEstateRama) — The Department of Justice announced today a settlement with Duke Energy Corporation (Duke) for violating the reporting and waiting period requirements of the Hart-Scott-Rodino Antitrust Improvements Act of 1976 (HSR Act). The settlement requires Duke to pay $600,000 in civil penalties to resolve the department’s charges that, after agreeing to purchase the Osprey Energy Center (Osprey) from Calpine Corporation, Duke took control of Osprey’s business before filing required HSR Act notifications and waiting for the expiration of the mandatory waiting period for antitrust review. The Justice Department’s Antitrust Division today filed a civil antitrust lawsuit in the U.S. District Court for the District of Columbia, along with a proposed settlement that, if approved by the court, would resolve the lawsuit. The HSR Act requires companies planning transactions that meet certain thresholds to file premerger notification documents with the department and the Federal Trade Commission (FTC) and to observe a mandatory waiting period. During the waiting period, acquirers are prohibited from obtaining “beneficial ownership” of the assets they seek to acquire. A party may prematurely obtain beneficial ownership of a business by, among other things, assuming the risk or potential benefit of changes in the value of the business or exercising control over day-to-day business decisions before the end of the HSR waiting period. This conduct is sometimes referred to as “gun jumping.” HSR Act violators are subject to civil penalties. The complaint alleges that at the same time that Duke agreed to purchase Osprey, Duke entered into a so-called “tolling agreement” that immediately gave Duke control over Osprey’s output and gave Duke the right to receive the day-to-day profits and losses from Osprey’s business. As a result, from the moment the tolling agreement went into effect, Osprey ceased to be an independent competitor. This occurred before Duke made its required HSR Act notifications and before it had observed the required waiting period. Duke generates and sells electric power on a retail and/or wholesale basis in numerous local markets throughout the United States. Duke is headquartered in Charlotte, North Carolina. One of Duke’s wholly owned subsidiaries, Duke Energy Florida Inc., sells wholesale and retail power in various areas of Florida. The Osprey Energy Center is a combined-cycle natural gas-fired electrical generating facility located in Auburndale, Florida. Before Osprey was acquired by Duke, Osprey was owned and operated by Calpine Corporation.